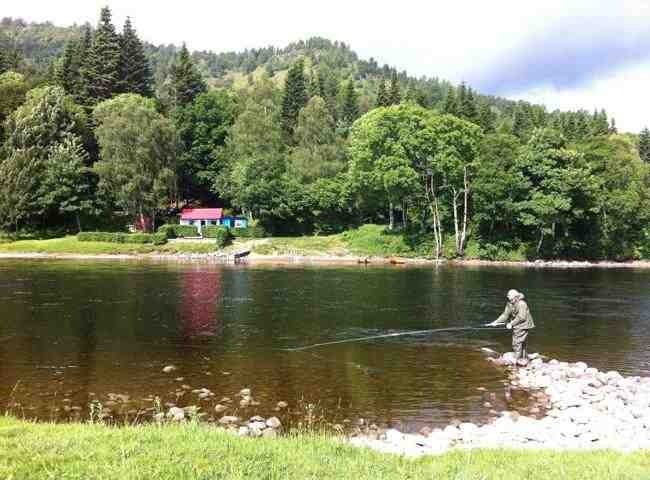 Try something naturally different in 2017 for your corporate hospitality entertainment via a fully guided professionally catered salmon fly fishing event on Scotland's beautiful Rive Tay. 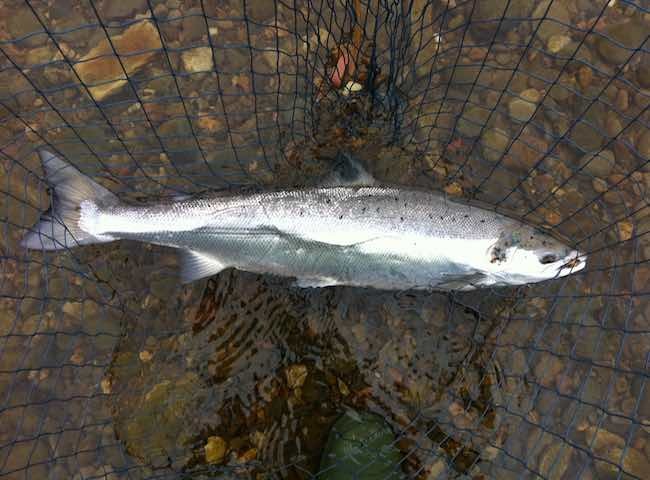 There's a real sense of achievement that is created by the capture of a perfect River Tay salmon like this. Re-awake your natural instincts on a salmon fishing event day. 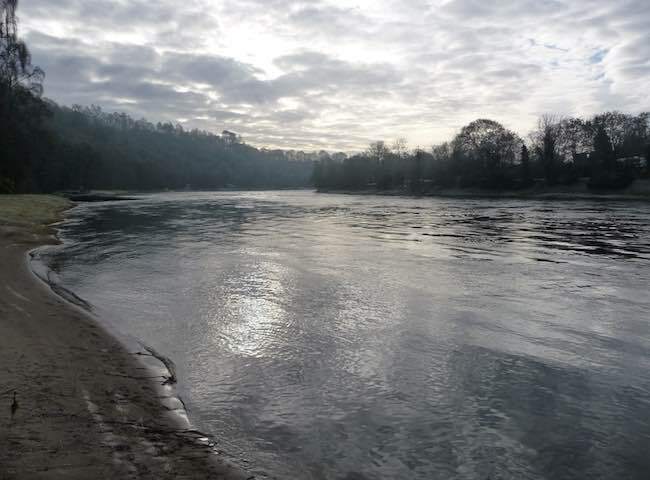 Even during the early months of the River Tay's fishing season there's still fantastic natural beauty on display with the added chance of a pristine Spring salmon. 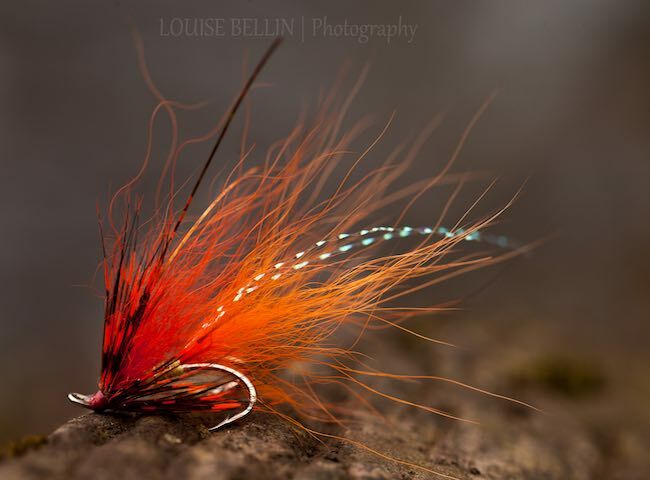 Our 'time served' professional River Tay guide staff will supply all the very best salmon fly patterns that have proven effectiveness for your salmon fishing event day. 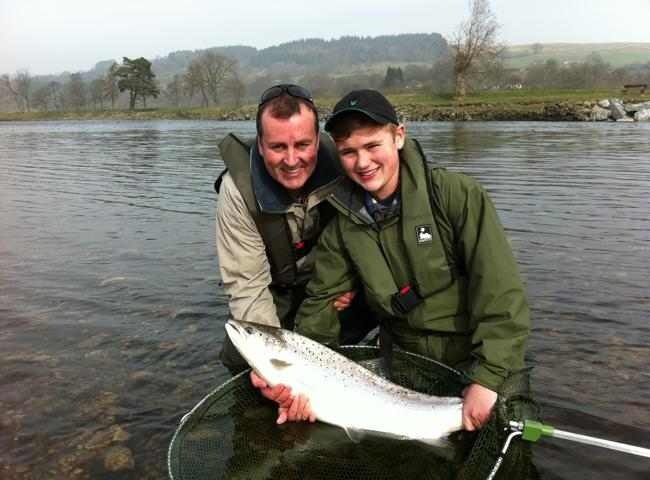 Here's a great example of a fresh run Spring salmon that was caught on the River Tay during the month of February. Show your business colleagues Scotland's most iconic gamefish. 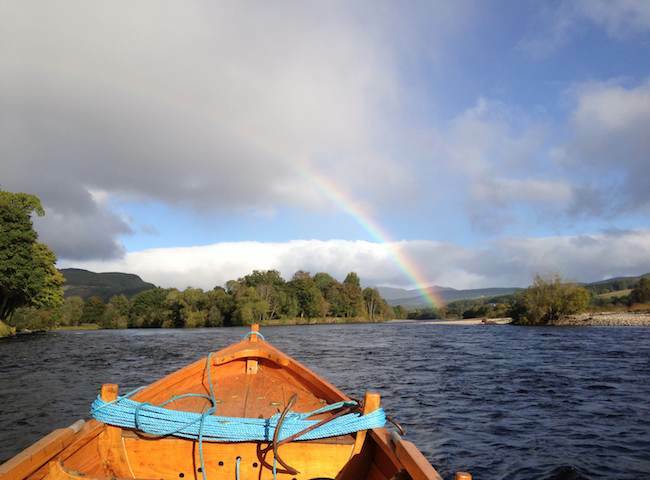 Here's a perfect upstream shot of a rainbow spanning the fantastic River Tay opposite the mouth of the River Tummel close to the lovely Perthshire towns of Pitlochry and Dunkeld. The beginning of the salmon fishing event day commences with fishing instruction from our professional salmon guide staff. This includes tuition on how to use a salmon fly rod. 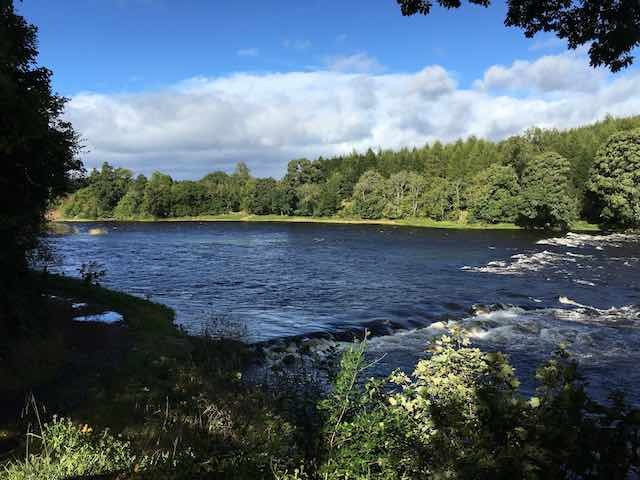 The amazing beauty and hypnotic flow of the Scottish salmon rivers take an immediate effect on all visiting salmon fishing guests. 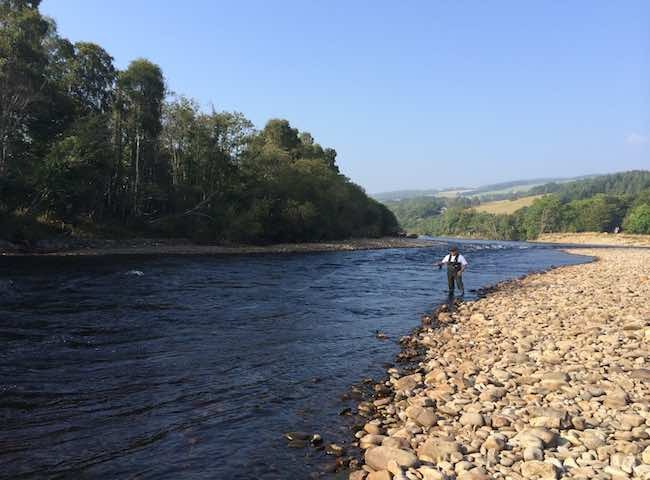 The River Tay has it all when it comes to natural beauty, ambiance & outstanding fishing locations for a professionally run salmon fishing event. 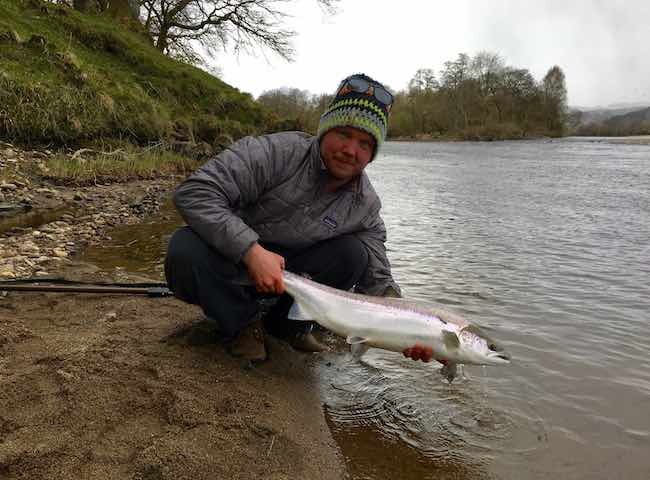 This was the second of two perfect Spring salmon that introduced themselves in rapid succession last April. Like most things in life timing is everything and the Spring has always produced fantastic salmon fishing. 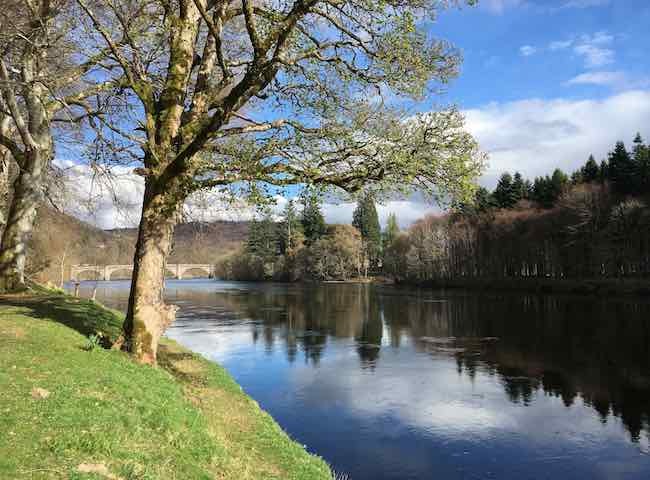 Here's a shot of the beautiful riverbank setting near the historic Perthshire town of Dunkeld. 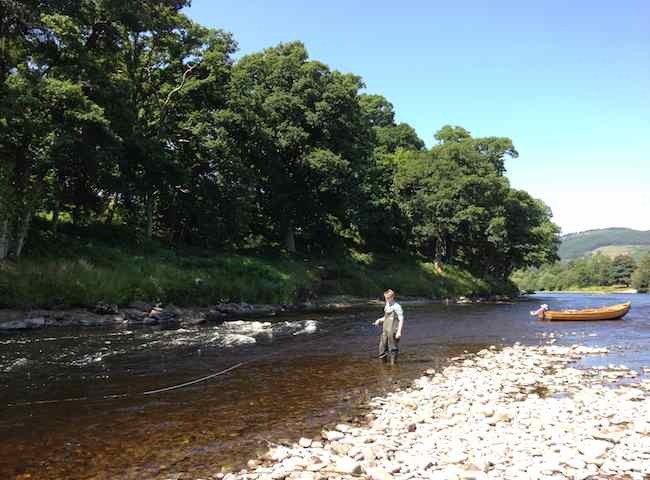 This is a great area of the River Tay Valley for a salmon fishing event.